Manufacturer of a wide range of products which include galvalume coils. Our firm is engaged in offering a wide range of Galvalume Coils. 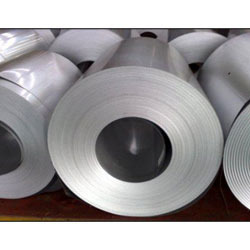 These coils and sheets are made of high quality raw material, which is procured from reliable & trustworthy vendors. We also offering Galvalume with AZ070/AZ100/AZ150 coating and Low yield strength 0f 300/350 Mpa for the specific requirement.